I own very few pieces of furniture. Luckily, both my roommates supplied our house with most of its furnishings. In a few months I will graduate from college and (hopefully) find a place of my own. This means I am constantly on the hunt for pieces for my place. I fell in love with this yellow couch on pinterst a few months ago. Yellow has long been one of my favorite colors. 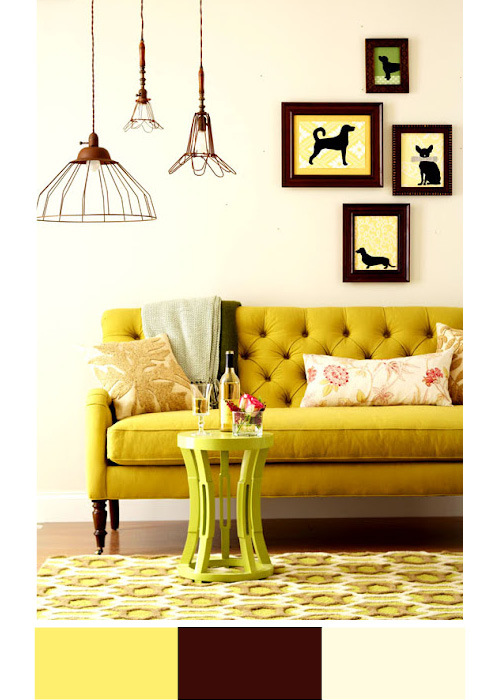 I'm not sure if I will be brave enough to buy a yellow couch, but this one has caught my eye. I also love that it is paired with a pale pink and deep brown. What color is your couch?